Same great look. Completely re-engineered. All based on user feedback and suggestions. 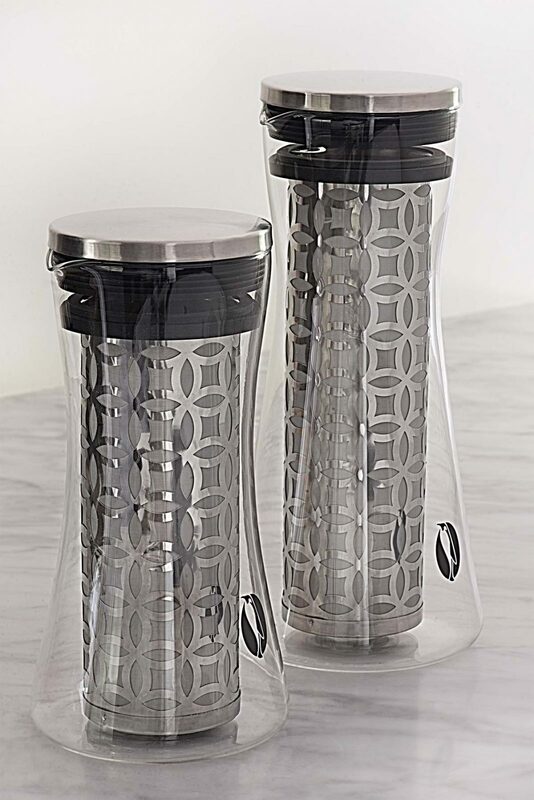 We made the pitcher thicker and improved the tempering for better glass durability. We completely re-engineered the removable end cap. 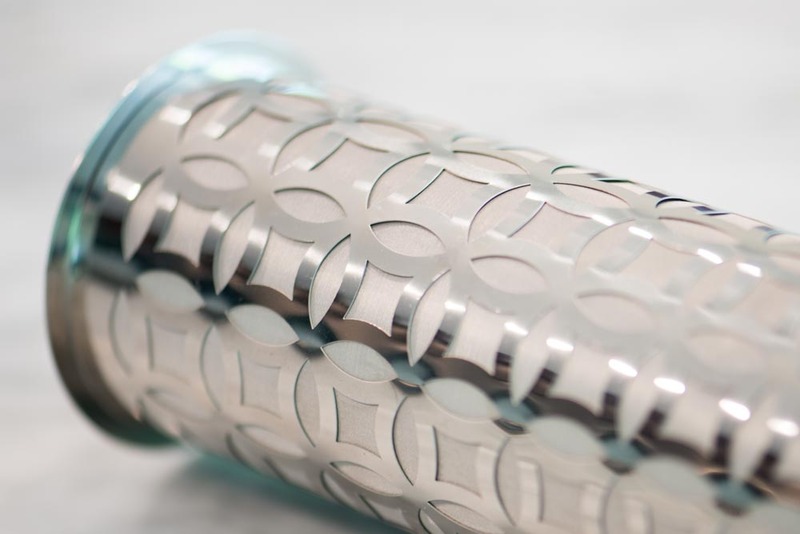 We added machine cut, precision micro-threads to the removable end cap for easier and more reliable use. 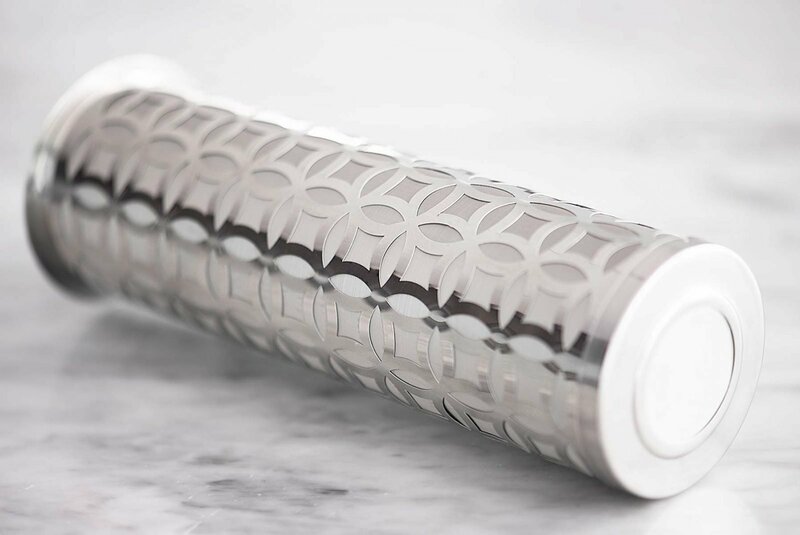 We used a thicker stainless steel for the outer filter layer for increased strength. We strengthened the welds holding it all together…. and then doubled the number of welds just for good measure. We maintained the massive capacity of our filter to keep the ratio of coffee grounds to water correct. Same amazing inner filter layer with MicroMesh. 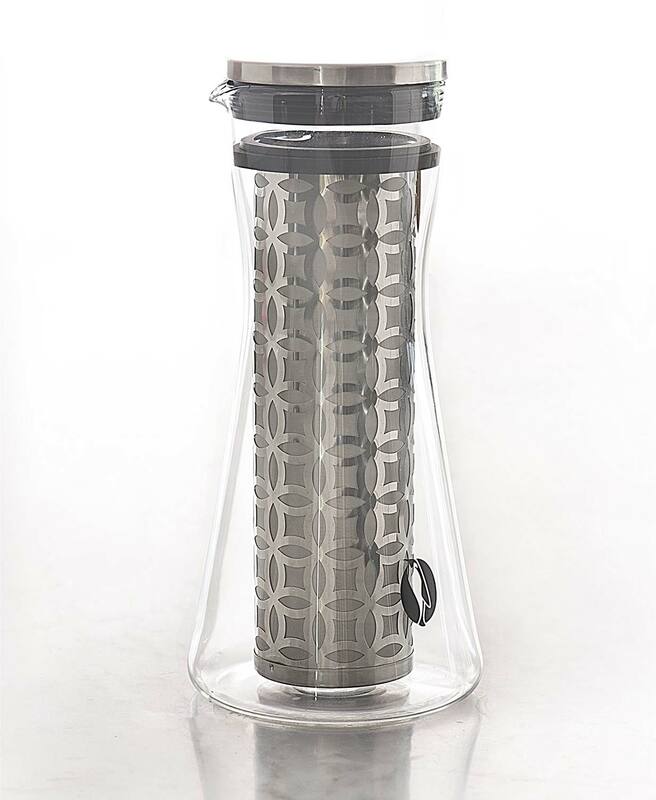 Frustrated by weak, watery cold brew coffee and annoyed by clunky, ill-fitting and ugly cold brew coffee pitchers, we set out to re-imagine, re-design and re-engineer the cold brew coffee immersion pitcher. BREW BETTER COLD BREW COFFEE! That single intention drove every design and manufacturing decision we made. It dramatically increased the difficulty but in the end it was completely worth it. And the results speak for themselves. The most intense and delicious cold brew coffee you have ever tasted! 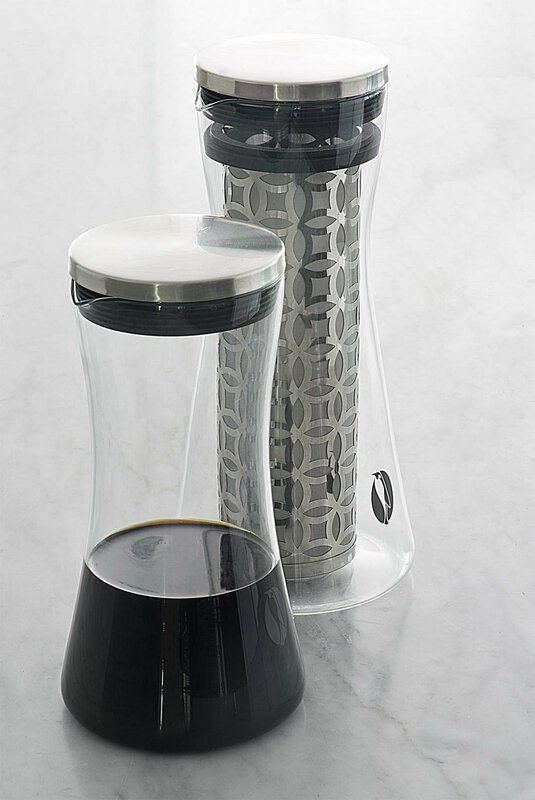 Informed by modern, minimal aesthetic we re-designed the cold brew coffee infusion pitcher with elegant curves that look awesome on your countertop and feel balanced and secure in your hand. 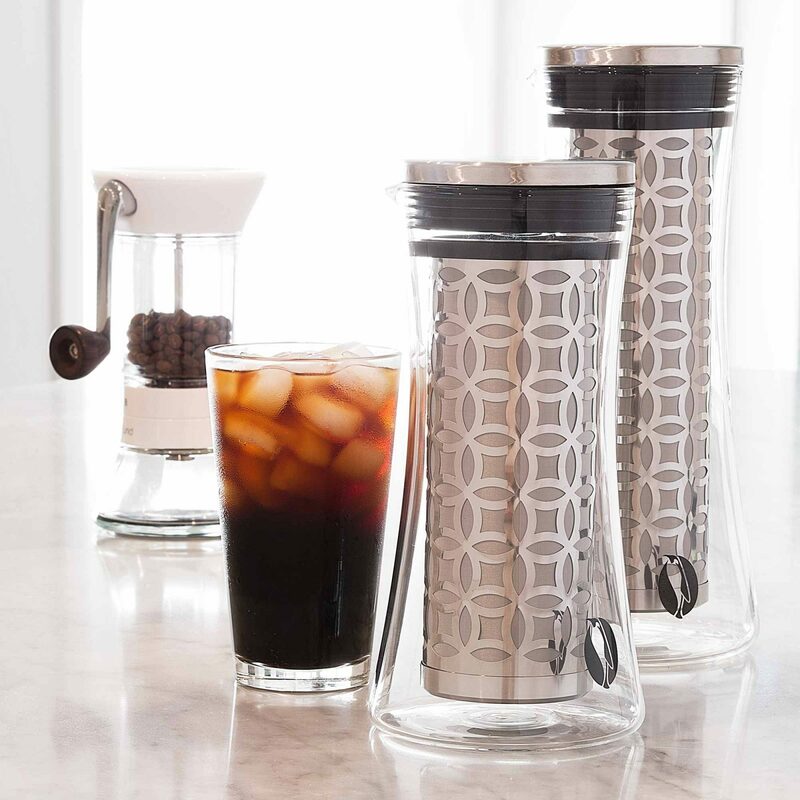 Frustrated by clunky, low quality cold brew coffee makers seemingly intended to filter whole tea leaves and not coffee, we were motivated to build something better. We painstakingly sought out the most durable and inert materials we could find. Materials that would provide long lasting use with absolutely no impact on the taste of your coffee concentrate. Some cold brew coffee systems were designed decades ago. Others are cobbled together from parts originally designed for tea. Every component of the Penguin Coffee system was dreamed up, designed, engineered, prototyped and produced from scratch… to brew great cold brew coffee. 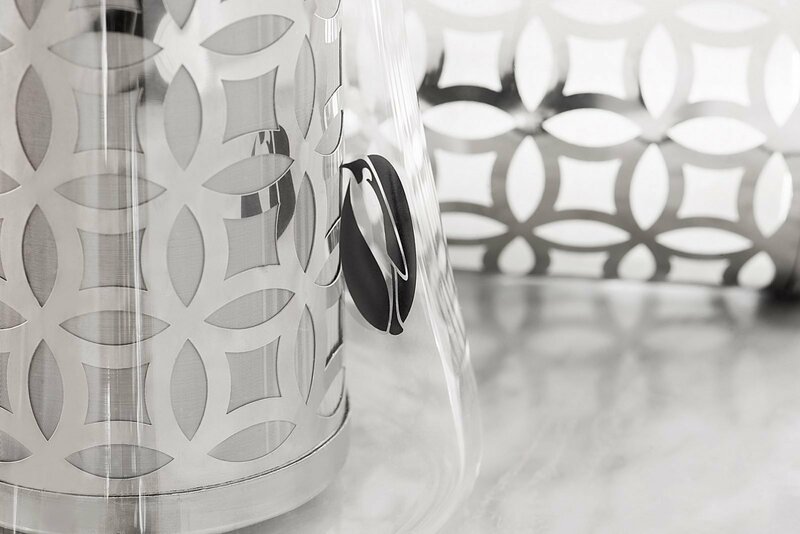 Designed to blend seamlessly with your contemporary kitchen. 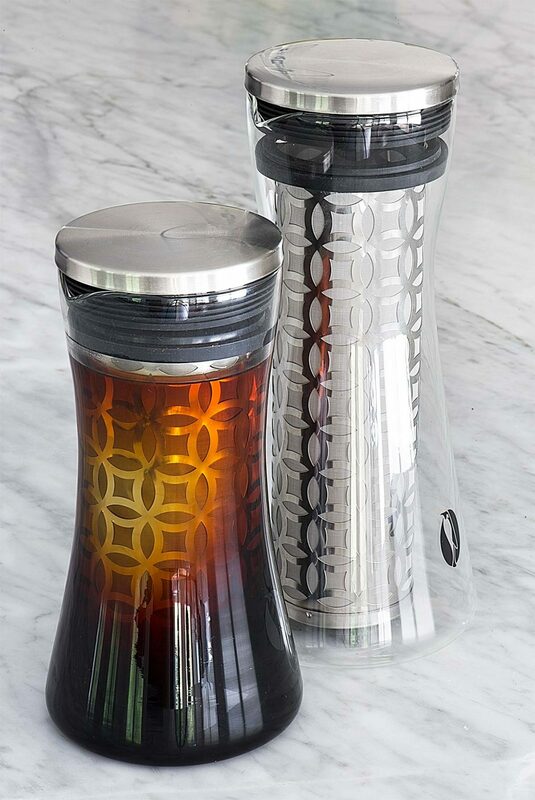 This is one cold brew coffee maker you do not have to hide away in a cabinet. Microscopic holes! Despite the eye catching outer support layer, these minuscule fellas are the cornerstone of our filter. It was all designed around them. 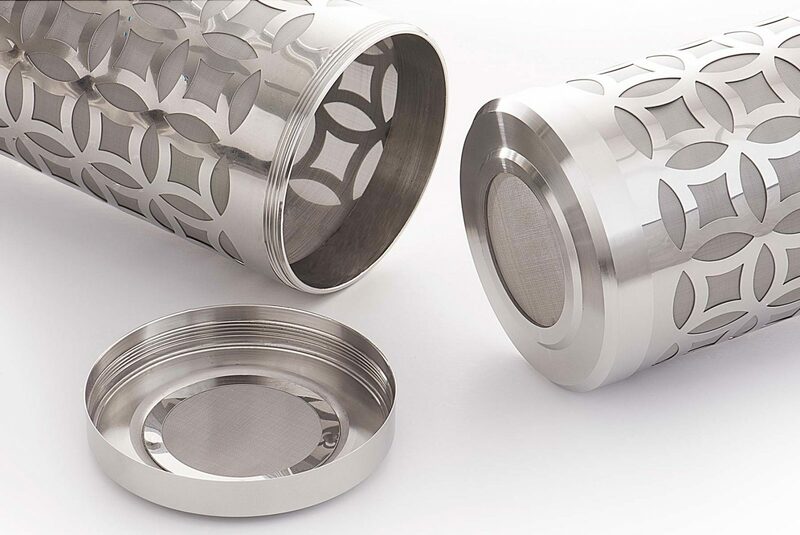 When it comes to filter holes smaller is better… and MicroMesh is best! 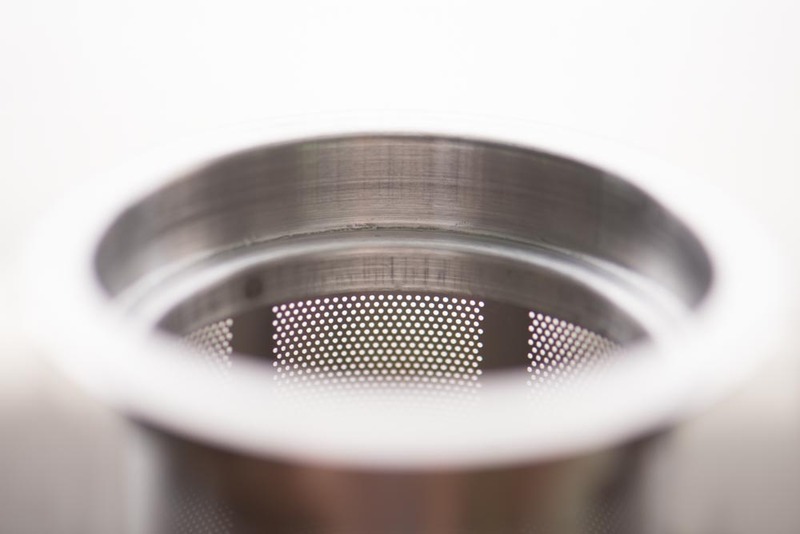 Those tiny MicroMesh holes keep the coffee grounds where they belong… in the filter! 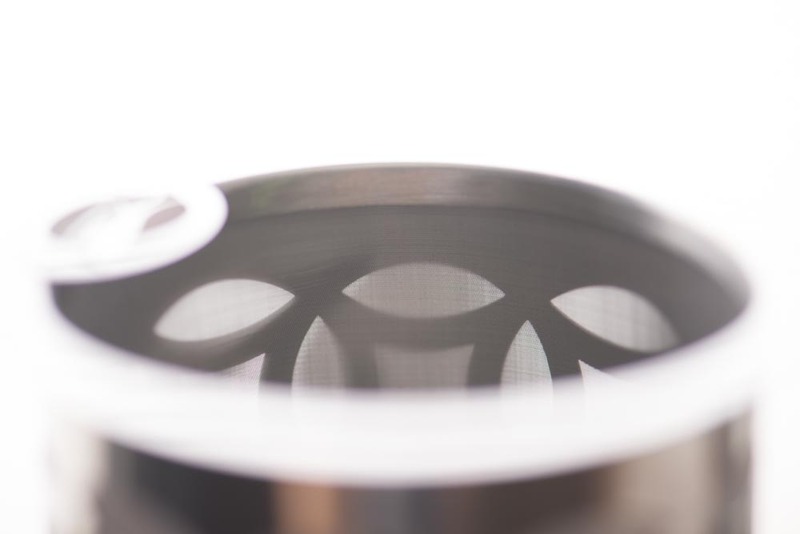 Our MicroMesh filter holes are measured in microns… 40 microns. 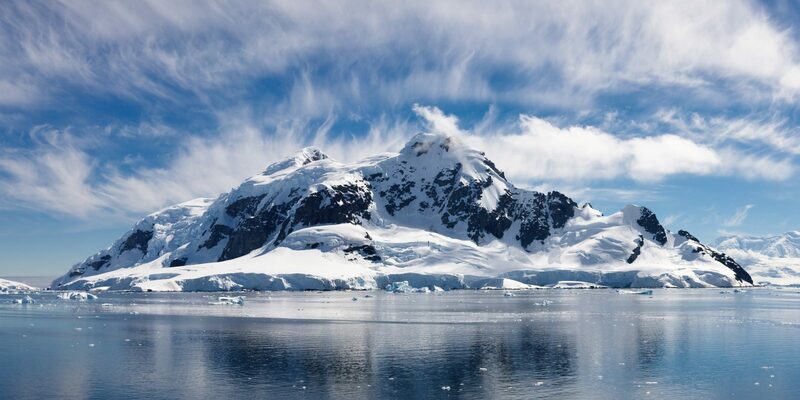 That’s 40 one millionths of a meter or about 0.00157 inches. About half the diameter of a single hair and as small as a white blood cell in your body. So small they are difficult to see with the naked eye! Huge holes! That means coffee grounds and coffee dust in your cup. Its that dark sludge at the bottom of other cold brew coffee pitchers! That coffee ground sludge in your brewed coffee is more than just gross! It leave you with over extracted coffee which can taste bitter, dry, astringent and empty. The most concentrated coffee at the end of brewing is in the grounds and usually wasted in cold brew coffee. By suspending the filter over the pitcher the filter holder allows the you to capture the most concentrated coffee from the brew. No more throwing away money or wasting the most intensely concentrated taste. 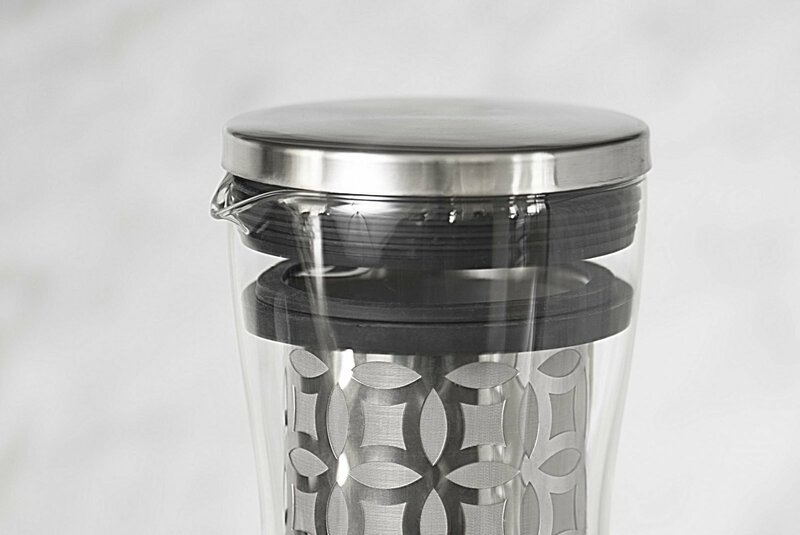 We internalized the filter gasket to maintain an air tight seal on the lid and to maintain a smooth appealing silhouette. Cold brew coffee substitutes gentle time for the harsh heat in traditional coffee brewing allowing the subtle flavors of the coffee beans to be extracted. To achieve the optimal concentration of brewed coffee, the cold brew process requires a different ratio of coffee to water. Most cold brew pitchers ratio are woefully weak. The super sized Penguin Coffee provide the perfect ratio of grinds to water to produce rich, intensely concentrated cold brew coffee. 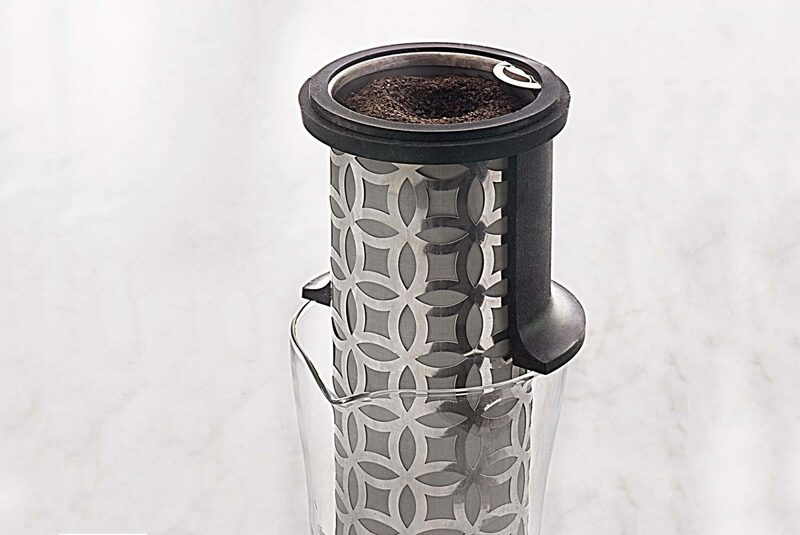 Annoyed by the struggle and mess required to get used coffee grounds out of conventional filters, we engineered a removable end cap into the Penguin Coffee filter. Simply unscrew the removable filter end cap. Tap the filter over the garbage or run water through the filter. Those spent grinds just wash away. Better design and super simple clean up! Re-designed removable end cap. Machined threads make removing the cap easy and clean up a snap. Version 2.0. Now Available! Same great look. Completely reengineered. All based on user feedback. Thanks guys!